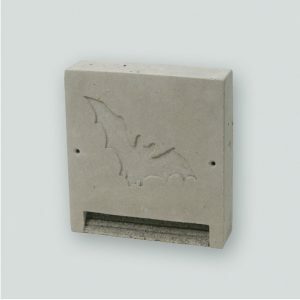 The tube is designed as a Bat summer roost for bricking-into the external walls of buildings. 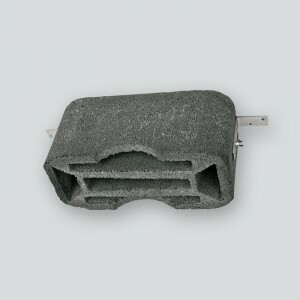 Due to its small depth of 12.5 cm it is also very suitable for installing in the thermal insulation. The characteristic behavioural needs of building-inhabiting Bat species have been incorporated in the tube principle. 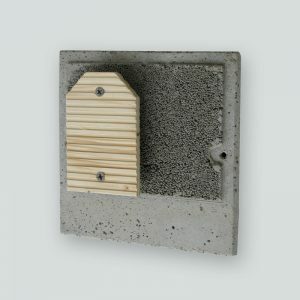 A wooden panel on the inside with long-term resistance ensures that the animals can cling onto the wooden side or the opposite panel (made of breathable wood-concrete). This Bat Tube is maintenance-free, as the droppings can fall slowly downwards, via the special droppings chute. 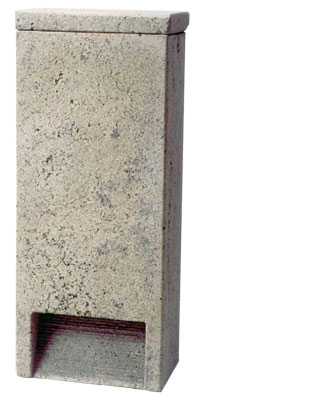 Installation: Install in façades (brick-in or render-in), in concrete (for example, in bridge structures), or retrofit under weather-boarding during renovation work, etc. 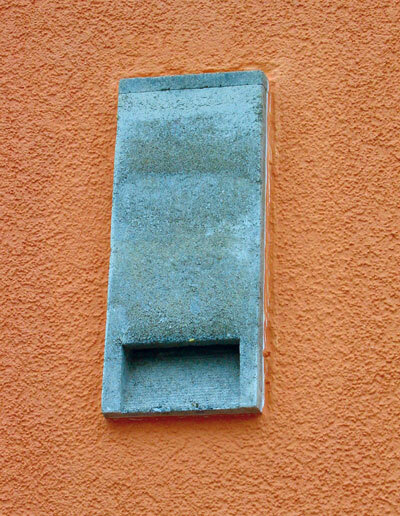 If installed on walls brackets must be used: these must be supplied on site and are not included. 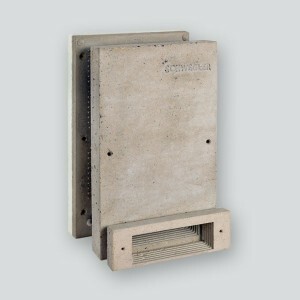 Material: open-pored, breathable SCHWEGLER wood-concrete. Colour: 1FR is delivered in “natural grey”. It can be painted at any time with standard breathable façade paint. 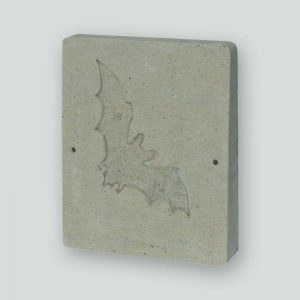 Miscellaneous: If bats get inside the building, we recommend the 2FR model. Entrance: W 15 x H 9 x D 2 cm. External dimensions: W 20 x H 47.5 x D 12.5 cm.